Today was a very smooth planning day on Mars, with the first scheduled science block in the plan being entirely filled by various spectroscopic ChemCam observations. The ChemCam instrument has the capabilities to be used in both passive and active modes, both of which were included in today's plan. 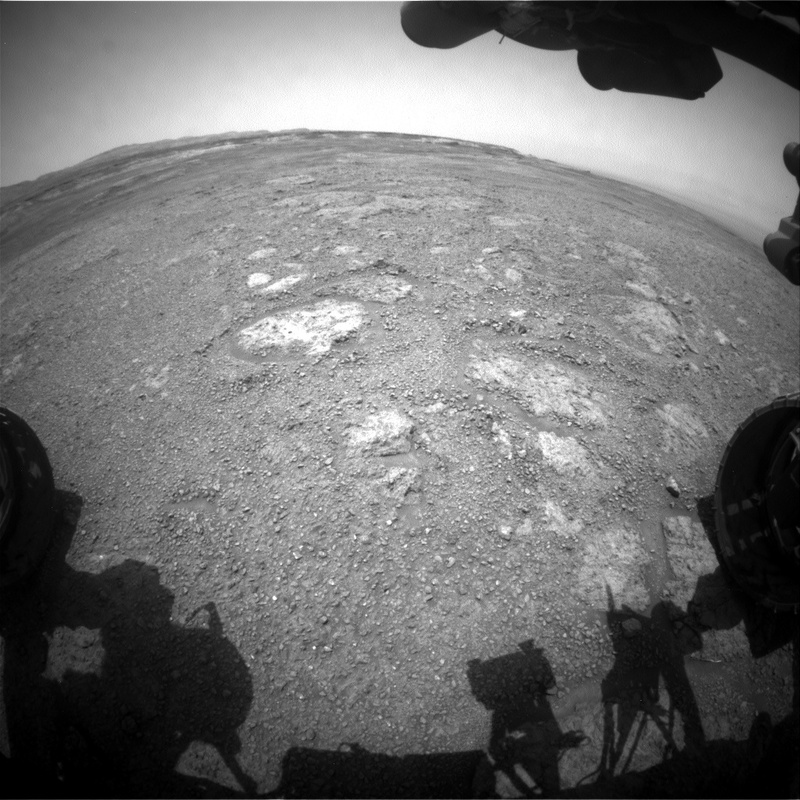 ChemCam active observations, which require shooting a laser at specific rock targets and analyzing the resulting plasmas, will be acquired for "Coatbridge" and "Pitscurrie," two small rock outcrops in the rover's vicinity. Altogether, these observations will help us determine the spectral characteristics of the local geology, and the associated Mastcam documentation images of Coatbridge and Pitscurrie will provide geologic context for these measurements. The second scheduled science block, which coincided with an extended stretch of REMS monitoring, was dedicated to environmental observations such as Navcam movies looking for dust devils and clouds. The two Chemcam documentation images included in the first science block were the only Mastcam observations planned today; a large Mastcam mosaic designed to image some upcoming features on Mount Sharp was pushed into Wednesday's plan. Wednesday's plan will also be influenced by a forthcoming decision from the members of the SAM (Sample Analysis at Mars) team, who are working diligently to analyze data acquired over the weekend and will soon make a decision as to whether additional samples are desired before we leave the Rock Hall location. A Front Hazcam image taken on Sol 2282 shows part of the landscape around the rover, including some of the rocks that will be analyzed further with ChemCam.